If you live anywhere other than the Southwest, this is a truly amazing find... A rust free Alfa Romeo Sprint Veloce (aka Alfetta GT, Alfetta GTV). These cars, like most seventies Alfas, were seriously prone to rust. 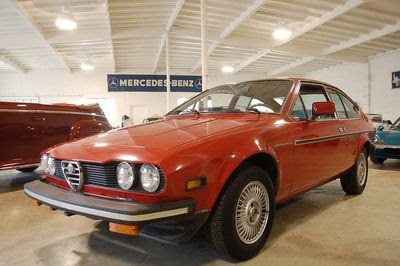 It's too bad, because in the US the Alfetta GT and the Alfetta sedan may represent the last true bargain Alfa Romeo. I wrote a post about a Sprint Veloce back in February. You can find it here. I have a soft spot for these cars, as my first Alfa Romeo was an Alfetta Sedan and my second was a Sprint Veloce. The interior is a bit ratty on this car, but that's an easy fix compared to doing body work on an Alfa, so don't let that scare you. I started ignoring my Sprint Veloce when I bought my Alfa Milano. Eventually it wound up in my garage (which very shortly became my ex's garage) and I sold it a few years ago. Seeing this one makes me wish I had held on to it. 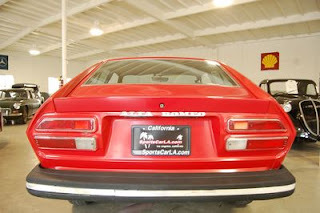 Located in Los Angeles, Click here to see the eBay listing for this Sprint Veloce / Alfetta GT / GTV. Thanks for sharing but I prefer Alfa Romeo GT. Alfa Romeo is the company that is working harder for the growth of Automobile sector and technological dynamics. Alfa Romeo GT is 2596mm long 156 wheelbase but underneath the pretty styling, the firewall, the pedal box, the steering column and the entire climate control system are the same as they were in 147. There are 140bhp 1.8TS and a 165bhp 2.0-litre JTS units for the people who prefers to have petrol engines in their car. For the diesel users, there is 1.9-litre M-Jet 16v diesel with either 150 or 175bhp. The GT car is one of the most elegant and exclusive car with ample of features and extended features as mentioned above. 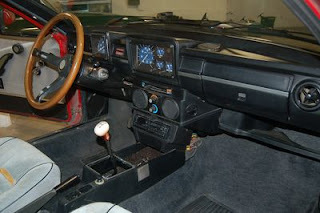 The Italians drive using only the accelerator (gas pedal) and the horn, so the tachometer is the only instrument needed. It's a real shame that Alfa don't make rear-drive transaxle cars any more (the 75/Milano was the last): when Fiat took over, they decided they were too expensive to produce. Current Alfas are fine but, as a driver's car, not in the same league as the old transaxles. Interestingly, there's nothing in the Formula 1 regulations to stop a team from using front wheel drive, but so far none of them has...! Thanks!!! I just bought that exact car from a guy in St. Louis. It has been in a garage for 15 years... No Rust!! It's silver though.. same wheels. Coolest thing I've ever seen. Almost got a ticket because I thought I was going 30 mph in third gear and didn't realize that was the tach in front of me, luckily I know all the cops!.. Mine's gonna be red as well. $1500!! Sure beats a Harley and turns more heads!! Best from STL! I don't know who posted this ad, but here's a posting for a southwest Alfetta GT. I have no interest in it (I found your page by googling the car to see what it looked like because there's no pic on the ad). Hope this helps?